Hire the Sony A7s from just £50/Day. The A7s has bought Sony into the DSLR world and must be affecting the sale of the good old canon 5D era! With its Newly developed 35mm full-frame Exmor™ CMOS sensor brings ultra wide dynamic range and high movie quality. 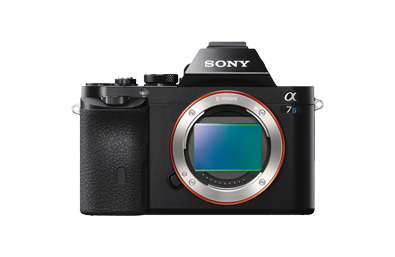 The Sony A7S hire camera combines phenomenal sensitivity up to ISO 409600*1 with supremely low noise, courtesy of Sony’s new 12.2-megapixel 35mm full-frame Exmor CMOS image sensor and optimized high-speed BIONZ X image processing engine. Professional movie functions satisfy the highest demands of serious photographers and videographers, plus everything is precision-packed in the world’s smallest 35mm full-frame interchangeable-lens digital camera body*2 for unparalleled mobility. Imagine the possibilities.